We are organizing İstanbul Mathematics Festival on campus at May 4-5, 2019. Click here to register. The undergraduate education in mathematics at Galatasaray University aims to provide students with a solid background in mathematics and develop analytical thinking skills while allowing them to develop a general scientific literacy. All courses are built to reconcile a strong background, diversity and the possibility of transition to other disciplines. The department, consisting of local and foreign faculty members, receives many visitors and organizes a research school every year to keep active research alive in different branches of mathematics. With less than twenty students per class, the department offers students the opportunity to communicate directly with faculty members. This allows students to improve not only their knowledge in mathematics and foreign languages, but also their self­confidence. The undergraduate program in the department aims to develop students' skills on independent research and learning. From the fifth semester, each student is guided by a supervisor to choose elective courses according to her/his future dreams and talents. From the first semester on, there are several courses in computer science and applied mathematics in addition to courses in pure mathematics. Especially in the third and the fourth years there are a large number and variety of elective courses that allow students, after graduation, to continue their academic careers in various disciplines ranging from economics to engineering. The graduation thesis prepared for these goals is particularly important and supervised by a faculty member following each step of the preparation and presentation of the work. Through the Erasmus Student Exchange Program, the department of mathematics offers to an average of 10 students per year the opportunity to continue their studies for one or two semesters at a European university. The language for the majority of teaching in the department is French, but some elective courses are given in English in order to enable the students to take full advantage of this possibility. Department of Mathematics currently runs a Master’s program in pure mathematics and plans to open a PhD program in Mathematics in the near future. Galatasaray University accepts high-level turkish and foreign students. The university provides the multilingual and multicultural environment and social possibilities such as student clubs. They offer the best opportunity to students to evaluate their time during undergraduate education. 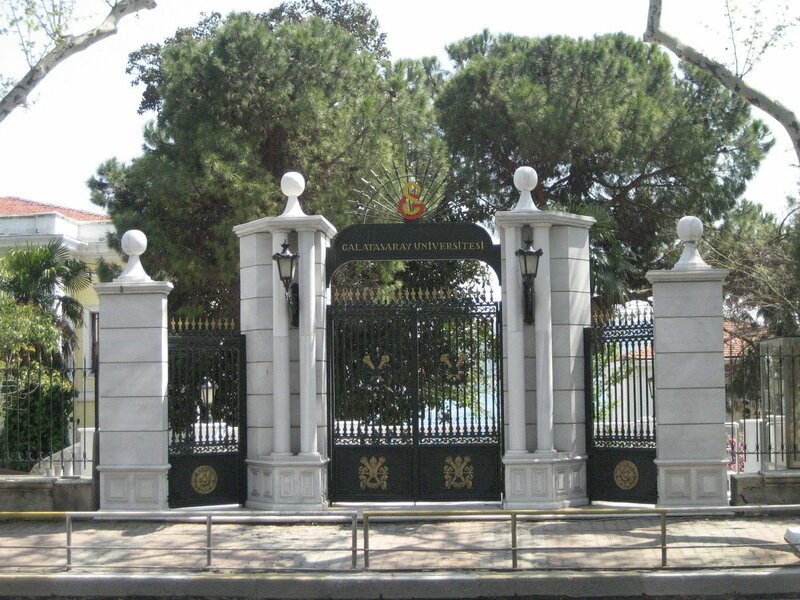 Galatasaray University, which is a state university, is founded by Turkish and French committees in 1994. University provides an education which satisfies international education standards with a strong French and Turkish academic staff. 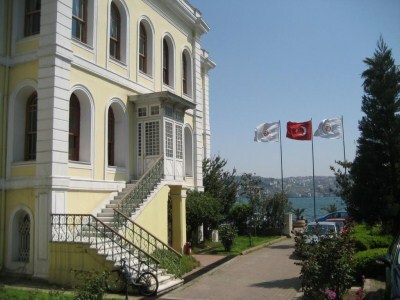 Galatasaray University is at 10-15 minutes by walk from both Beşiktaş and Ortaköy. If one wants to take a bus to University, he/she can take any bus working on the shore (for example, the number of busses from Kabataş: 22, 22RE, 25E; from Ortaköy: 40, 40T, 42T, DT1, DT2). 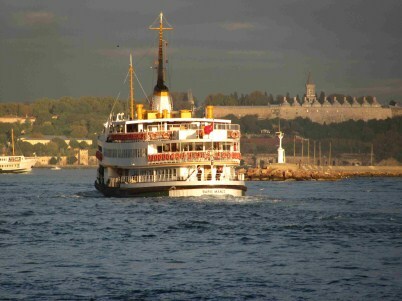 The best way to reach Galatasaray University from Anatolian side of the city is to take a boat to Beşiktaş from Kadıköy or Üsküdar. For Metro, Tram, Ferry and Busses either you can use Akbil (1.95 TRY per trip, and you can charge your Akbil Card) or use tickets (1 ticket: 4 TRY, 2 ticket: 7 TRY, 3 ticket: 10 TRY, 5 ticket: 15 TRY, 10 ticket: 28 TRY). Galatasaray University is 24 km away from the İSTANBUL ATATÜRK AIRPORT. Right in front of the exit door of the Ataturk International Airport, take the HAVAŞ bus to TAKSİM (40 mn, 10 TRY) and get off at the last stop, TAKSIM SQUARE (for detailed information about HAVAS buses please visit http://www.havas.net/en/shuttle-parking/istanbul-ataturk-airport/ ). Then either take a taxi (15mn, ~15 TRY), or take a bus and get off at the stop Galatasaray University. The number of busses are: 40 (Taksim - Sarıyer), 42T (Taksim - Bahçeköy), 40T (Taksim - İstinye - Dereiçi), DT1 (Taksim - Ortaköy Dereboyu), DT2 (Taksim - Ortaköy Dereboyu). Second possibility, from İstanbul Atatürk Airport to Galatasaray University is taking a taxi (45 mn, ~70 TRY). Finally, you may take the metro from İstanbul Atatürk Airport and change to tramway at the Zeytinburnu station. Get off at the last stop in Kabataş. From Kabatas taxi costs 8 TRY, there are also regular buses (get on the bus going to Ortaköy direction). If you are coming from Sabiha Gökçen Airport, take the HAVAŞ bus to TAKSİM (~1.5 hr, 17 TRY) (for more detailed information, please visit http://www.havas.net/en/shuttle-parking/istanbul-sabiha-gokcen-airport/ ). Keep in mind that, Atatürk Airport is more closer than Sabiha Gökçen Airport to the Galatasary University. 12.July.2015 The 11th International Conference on Fixed Theory and Its Applications will be held at Galatasaray University between July 20-24 2015. You can access the program here. 18.January.2014 Registrations for (Japanese-Turkish Joint II) Conference on Geometry (19-23 March 2014) are now open. Please use our application form in order to apply. 20.October.2013 Registrations for Finsler Geometry and Applications Research School (10-17 April 2014) are now open. Please use our application form in order to apply. 20.August.2013 Finsler Geometry and Applications will be held in Galatasaray University between April 10-17, 2014. 03.June.2013 The deadline for all participants of Japanese-Turkish Joint Geometry Meeting is September 6, 2013. In order to apply, please contact with the organizing committee here. 03.June.2013 The registration for CIMPA/TUBITAK/GSU Summer School Algebraic Geometry and Number Theory is now open. You can find it here. 15.March.2013 Japanase-Turkish Joint Geometry Meeting will be held in Galatasaray University between November 21-24, 2013. 28.February.2013 "Istanbul Toric and Tropical Geometry Meetings" are organised with the participation of Mimar Sinan Fine Arts University and Galatasaray University. For further information please click here. 10.February.2013 Istanbul Number Theory Meetings will be in IMBM on 16 February. 21.October.2012 Algebraic Geometry and Number Theory Summer School is planned to be held in June 2014. Exact dates will be given during 2013. 10.April.2012 You can now apply to our master program from the Master section above. 8.March.2012 Students have visited IMKB. This page is maintained by İrem Portakal. For your suggestions the form.